Having a child with a medical or developmental complication can be challenging. Doctor appointments, therapy sessions, procedures, and attention, supervision, and monitoring given around the clock can be exhausting for both the parent and the child. Added to this can be worries about how to help your other children. Having a brother or sister with medical or developmental differences can be challenging. 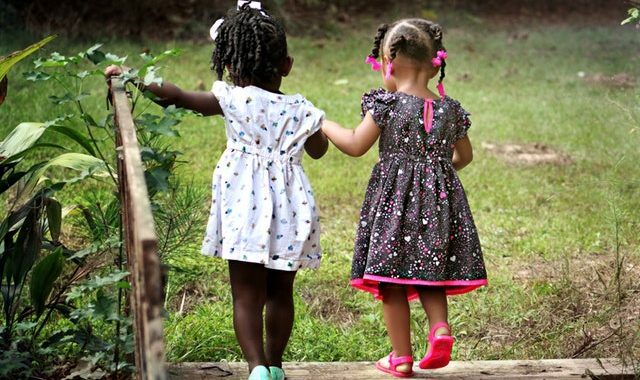 There are several ways you can support siblings’ needs within your home. Siblings may worry about doctor’s appointments, medical procedures, therapy visits, new schools, etc. Part of their world is going to be hearing about their sibling and what is going on, so do not shelter them. They will worry more when they do not know what is going on. As siblings get older, depending on the needs of their brother or sister, they may begin to wonder or worry about their sibling’s future. It’s ok to have conversations with them about your plans for making sure that their sibling is cared for when you can’t. In all of these conversations, be honest, using the “simple truth,” and start with what your child’s concerns, thoughts, and expectations are. You can correct any misunderstandings and provide them with accurate information and reassurance when needed. Some siblings benefit from educating others about their brother or sister’s condition and resulting needs. They may be able to present to their class, school, or church about the topic. On a smaller scale, your children may benefit from learning and practicing a few lines that they can feel free to share with others as needed. When friends come to the house and an autistic brother is melting down, being able to say, “That’s my brother, Patrick. He has autism and sometimes when he’s stressed he yells like that. Let’s go play in the basement until it’s calmer up here.” Or, in public, if a stranger asks why his sister is in a wheelchair, “she uses the chair because she has Spina Bifida and her legs don’t work like ours do. It helps her move around.” Of course, some children are more private and would prefer not to educate others. That’s ok, too! Some siblings adopt a caregiver or protective role when it comes to their sibling with different needs. This often happens naturally and it’s not a bad thing. Just be mindful that your child is not missing out on “being a kid.” If helping a sibling feels like a choice – something he or she wants to do, rather than a chore – and something he or she can do alongside other activities and responsibilities, there usually is not a problem. If, on the other hand, they do not wish to help beyond the usual family expectations, this is not a problem either. Your children may need time to breath, cope, and be away from their sibling with special needs and that is ok. Allow them to have time away with a family member or friend. If able, take them away for a night without their sibling. In the house, your children choose to spend time away from their sibling with special needs. That’s not necessarily a problem (and it can be a positive way to cope and recharge). Allow space, but monitor to be sure your child isn’t isolating herself or doesn’t feel like he isn’t wanted in the family. If you’re worried about how much time your child spends alone, talk to him or her. It’s ok to be happy, it is ok to be sad. It is ok to be angry, frustrated, worried, jealous, annoyed, and excited. It is ok to be confused and not understand why. It is ok to be silly and treat every day normal. It’s ok to have your own celebrations and successes and want attention for those. It’s ok to forget about your sibling’s demands because of your own demands. It is ok to be a kid, it’s ok to be a brother or a sister, and you are loved just the way you are! Be sure your children hear those messages frequently. There are times when professional help can benefit siblings of children with medical or developmental differences. Don’t be afraid to reach out. Check with your child’s school, your medical provider, or the “team” working with your family already. Many agencies offer support groups for siblings of children with special needs. If your child is old enough, you may feel comfortable researching closed, online support groups for siblings. You may be able to find local groups that offer outings for your children to be around other siblings of children with special needs to help them relate and feel understood. If you have a child with medical needs, most hospital networks have Child Life Specialists who can provide education and support to patients and their families.